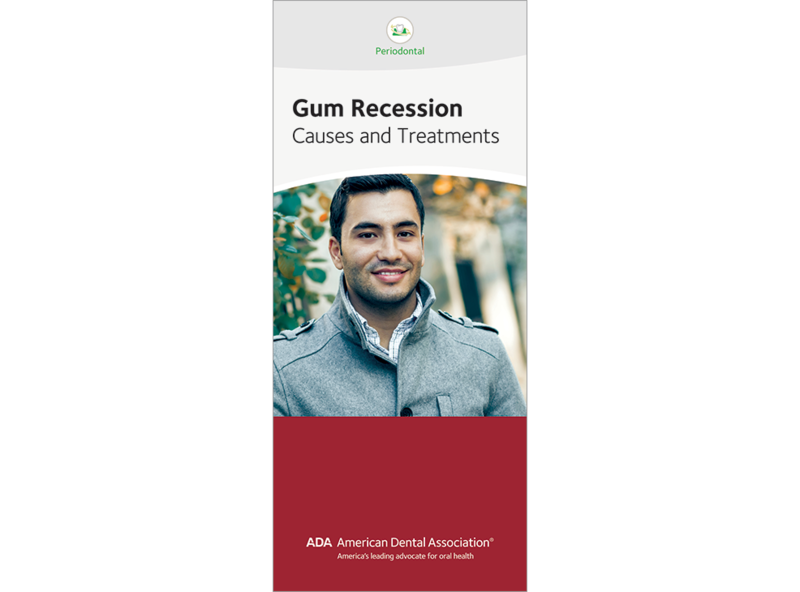 Whether recession is caused by abrasion or disease, this easy-to-read brochure is a valuable resource. Describes the causes of recession and that it can lead to sensitivity and decay. Showing photos of recession, it explains that treatment depends on the cause. With tissue grafting with before-and-after photos, plus with post-procedure care considerations. 6-panel brochure, pack of 50.